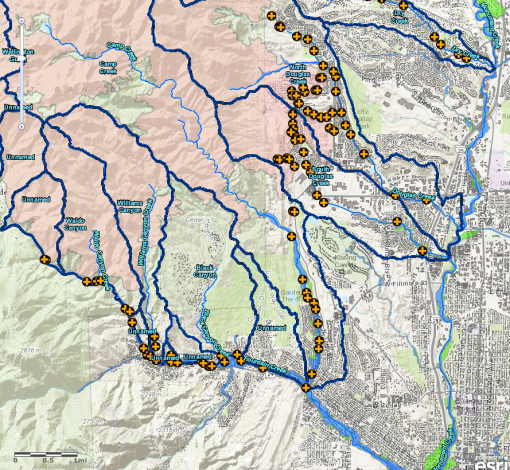 If you live anywhere near the Waldo Canyon Burn areas or any of our many creeks and drainages west of downtown Colorado Springs, you will definitely want to read J. Adrian Stanley’s article “Why Flooding Off the Waldo Canyon Burn Scar Will Be Fierce” in last week’s issue of The Colorado Springs Independent and take a close look at this detailed, zoomable FEMA Flood map. 2 Responses to Know Your Flood Map! Where do we find that zoomable map? The link takes us to the Indy piece. Apologies: We double-linked to the Independent’s article, but the link for FEMA map is fixed now.